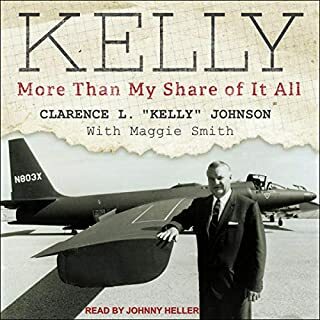 Clarence L. "Kelly" Johnson led the design of such crucial aircraft as the P-38 and Constellation, but he will be more remembered for the U-2 and SR-71 spy planes. His extraordinary leadership of the Lockheed "Skunk Works" cemented his reputation as a legendary figure in American aerospace management. It is the most famous military installation in the world. And no credible insider has ever divulged the truth about his time inside of it. Until now. 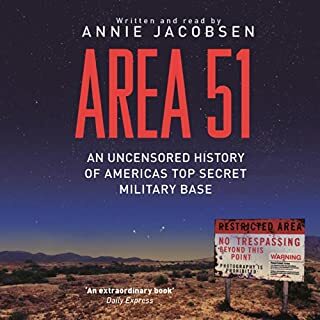 This is the first book based on interviews with scientists, pilots, and engineers - 58 in total - who provide an unprecedented look into the mysterious activities of a top-secret base, from the Cold War to today. With a jaw-dropping ending, it proves that facts are often more fantastic than fiction, especially when the distinction is almost impossible to make. A story of arrogance and hubris. From the NASA astronaut who spent a record-breaking year aboard the International Space Station - what it's like out there and what it's like now, back here. 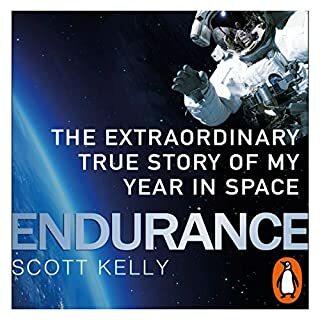 Enter Scott Kelly's fascinating world and dare to think of your own a little differently. The veteran of four space flights and the American record holder for most consecutive days spent in space, Scott Kelly has experienced things very few of us ever have and very few of us ever will. 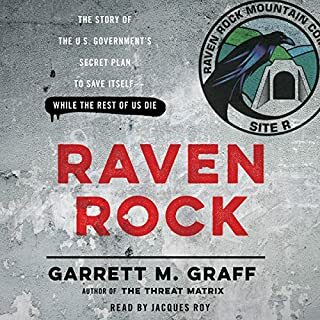 A fresh window on American history: the eye-opening truth about the government's secret plans to survive a catastrophic attack on US soil, even if the rest of us die - a road map that spans from the dawn of the nuclear age to today. The best history book, I've ever read/heard. Mahaffey, a long-time advocate of continued nuclear research and nuclear energy, looks at each incident in turn and analyzes what happened and why, often discovering where scientists went wrong when analyzing past meltdowns. 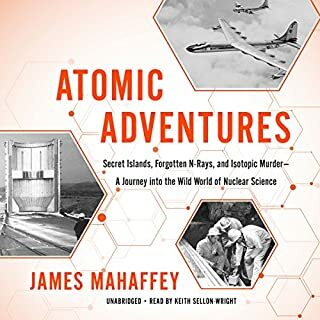 Every incident has lead to new facets in understanding about the mighty atom - and Mahaffey puts forth what the future should be for this final frontier of science that still holds so much promise. 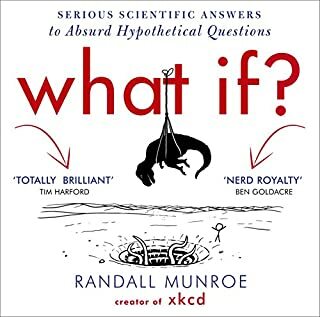 I listened to this gem of a book from start to finish in about 4 days. I guess it's the equivalent of not.being able to put a book down. Informative, funny, harrowing, cautionary, and hopeful. A masterful narrative of the history of development of nuclear physics. Bravo. 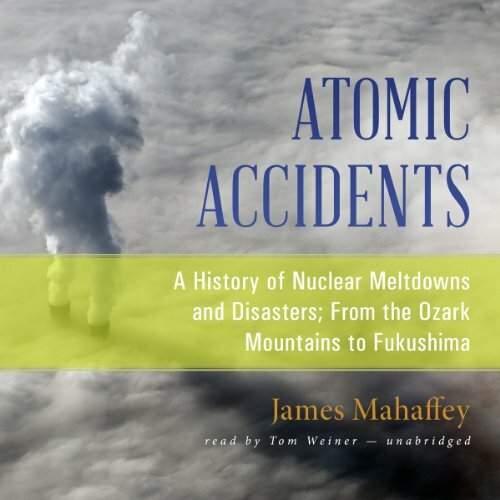 Listening to James Mahaffey’s "Atomic Accidents", the first thing that comes to mind is point-of-view, second is author’s qualification, and third is writing ability. Doctor James Mahaffey’s professional career is founded on the nuclear industry. Educated at the Georgia Institute of Technology, Mahaffey holds a bachelor’s degree in physics, a master’s in science, and a doctoral in nuclear engineering. Mahaffey is well versed in the science, engineering, and mechanics of nuclear energy. Because of education, one presumes Mahaffey is a proponent of the nuclear power industry. After dissection of several atomic accidents, a listener becomes unsure of Mahaffey’s point of view. By the end, his point of view is clear. Mahaffey’s book is historically fascinating, and enlightening. Happily, Mahaffey writes well with erudite understanding and little obfuscating jargon. Mahaffey explains that radiation is a naturally occurring phenomenon. He argues that shutting nuclear waste disposal facility like Yucca Mountain in Nevada is a mistake. Mahaffey’s point of view is that nuclear power generation accidents will happen but their consequences can be minimized with smaller plants and better planning for treatment of victims when accidents occur. He believes nuclear energy benefits far out way their risks. 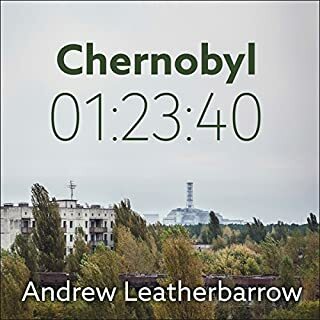 Where does Atomic Accidents rank among all the audiobooks you’ve listened to so far? What other book might you compare Atomic Accidents to and why? "Command and Control". 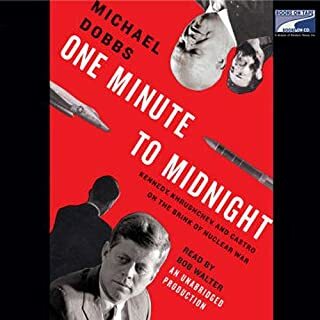 More about nuclear weapons and specifically an incident at a missile silo in Arkansas. I enjoyed the several scenes describing the internal working of nuclear power plants and the details of accidents that occurred in them. I'm enjoying this book. It's giving a lot of detail on accidents beyond the oft-explained "tickling the dragon." There's one glaring problem that's like fingernails on a blackboard. Blackstone Audio apparently can't be bothered with making sure their narrators know how to pronounce slightly technical terms. The narrator is good except he's said "trih shum" (instead of tritium) more times than I can count. He also says "regent" instead of reAgent. My recommendation is to grit your teeth through these because otherwise the book is quite good. If you could sum up Atomic Accidents in three words, what would they be? For history and science buffs, a good history not only of nuclear power but also the naïveté, creativity and hubris of man's relationship with all things nuclear. Underlying every accident is a system designed to avoid it, someone's attempt to circumvent the system, and the complex interaction between the two. 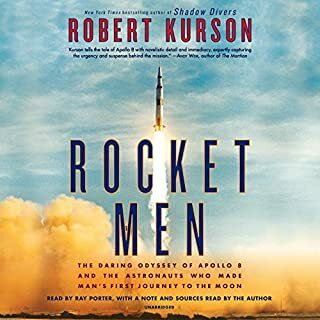 Fascinating stuff, with enough technical details to interest the science buffs and a connect the dots narrative to keep the history buffs glued. I found it all very fascinating and it was a definite plus that the narrative is told with the odd bit of sarcastic humour in it. 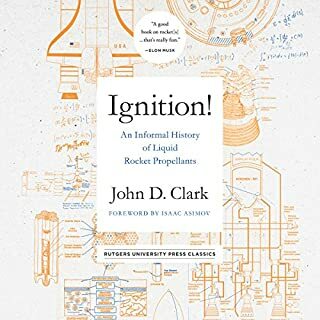 My only criticism was that the three most infamous accidents: Three mile island, Chernobyl, and Fukishima, are given a comparatively short treatment compared to the rest of the book. Probably not. There is a fair bit of technical detail that would leave most readers head's spinning to get through this all in one reading. The author has a background working in the nuclear industry which is a definite plus. Mahaffey does one of the best jobs of combining hard science, complete with numbers, with fascinating human stories I've ever heard. This isn't a text book, it's a smart funny guy who happens to be a subject matter expert telling you history in a very human way. The first accident in the book is literally a train wreck, and each subsequent story of nuclear errors, accidents, and disasters have a 'can't take your ears off of this train wreck' quality. This is sort of like 'Cosmos' for nuclear power production history. Or it least it would be if Carl Sagan or Niel Tyson had senses of humor and didn't talk down to the audience. The book is written in the first person, so there is only one character. Weiner does a great job reading this book, with the glaring exception of pronouncing the word 'Tritium'. For some reason he pronounces 'trit-E-um' as 'trisham'! I actually had to stop the audio and go to the web to double check that there wasn't really an element called 'trisham'! I don't blame Weiner for this, I blame Blackstone's producer for not catching this glaring error. I've been listening to audio books since the late 70s, and I've alway found Blackstone readings to have inferior production values. 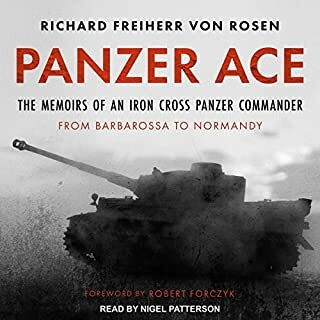 I will say that the production quality in this book is much better than past Blackstone recordings, but they still have work to do match the quality of studios like Recorded Books LLC. This is not a partisan rant, the history of nuclear power, good and bad, is related with emphasis on the 'bad'. After telling you the 'bad' Mahaffey provides the hard facts and numbers to help readers keep a sense of perspective when thinking about future energy alternatives for the U.S. and the world. Would you listen to Atomic Accidents again? Why? Mahaffey has a remarkable talent for describing very complex situations without being boring or verbose. He's clearly a master of the subject matter with a wickedly droll sense of humor to boot. 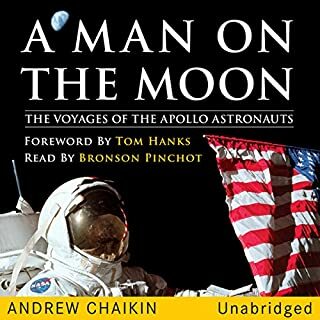 This is one of the best Audibles I've had in the last year. It's also extremely informative. What was one of the most memorable moments of Atomic Accidents? 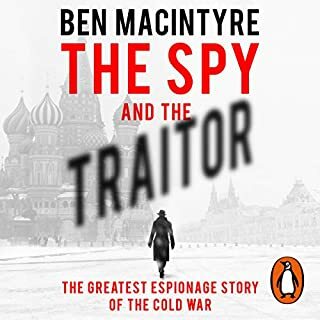 The mysterious "problem" in Russia in 1957 is a great story, very well told. It's almost hilarious at a distance of 50+ years and several thousand miles. A separate high point is the Three Mile Island description. Having lived through the TMI news coverage at the time, it was nice to finally get a coherent, concise depiction of what happened -- and what did not happen. What did you love best about Atomic Accidents? 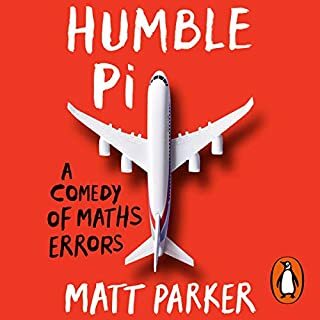 The story Telling, the author manages to keep it understandable and funny at the sametime with his sarcastic undertones. It did make me laugh at times, but it really opens your eyes to nuclear power. I was amazed at all the experiments that have occurred since we discovered it. This is a page turner, even the opening was great. There is a lot of good information in this book, especially the human performance aspect, there a lot of great examples of human errors that could be used in safety meetings, which I have done. I have even googled much of the reported disasters in this book to get more information. I am normally a fiction reader, who likes end of world types of books, but this non-fiction book gives you the same flavor and keeps you interested. Great for any fan of science. Impeccably researched and extremely informative. The narration is clear and consistent, fitting the writing style perfectly. A fantastic history lesson in 20th century science. Atomic Accidents spans pre-nuclear steam explosions to dangerous X-ray exposures right up to Chernobyl and Fukushima. After reading this book twice, I feel optimistic about the future of nuclear power. Absolutely worth a few listens. 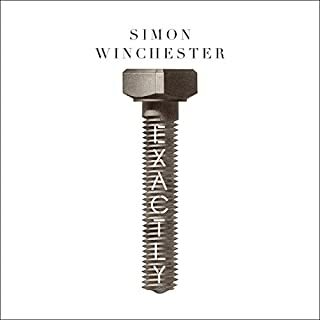 The information density is well blended with an easygoing narrative style that engages the listener throughout the entire book. Chapter eight: the Strategic Air Command years, with all the near misses that we somehow lived through. Fluent vocal style, never distractive. This guy has it down cold. No laughing matter this. More outcome information on the Fukushima disaster would be helpful. It was an enlightening shift away from the mass media induced anti-nuclear coma we've all been stuck in for decades. 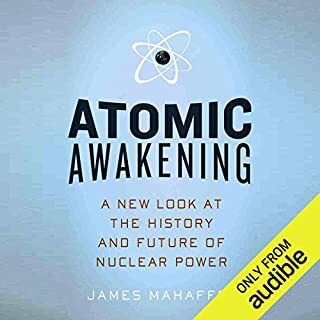 I have always been hard pitched against nuclear energy and its uses against humanity, and I'm likely to stay that way.However, this book helps demystify some of the beliefs about the atomic age I've come to own as sort of a mindless religion. For me at least, this book has offered me a good start on basing my beliefs on evidence, not media hyperbole. I very much enjoyed this book. I think anyone with an interest in all things nuclear would enjoy it. 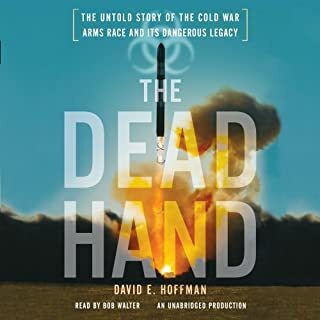 I really enjoyed this well researched journey through nuclear history, and how despite all the best intentions failures have occurred. The last chapter on the future of nuclear power was very enlightening. A heavy engineering subject made light with appropriate humour. Irrational fear appears to drive much of thinking and politics that surround the viability of Nuclear Power. This book goes a long way toward educating and increasing clarity around the issue. 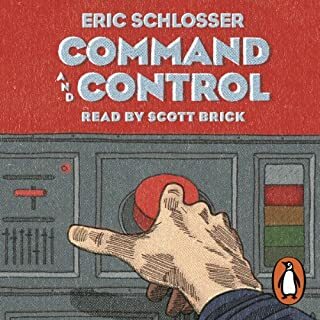 I enjoyed this book for the most part (including the stellar narration) but the repeated discussion of which fissile material decays into which, or the technical schematics of a nuclear powerplant does not lend itself well to the aural form. I'd like to recommend Atomic Accidents, but due to the inherent setbacks of the medium I could not do so wholeheartedly. What did you like most about Atomic Accidents? Think twice before you eat that banana! Complex science explained in an accessible way without dumbing down. Also very entertaining and at the same time well balanced. Explains what everyone should be worried about and what everyone should waste no more time worrying about. Really enjoyed this, I work in the industry would recommend to anyone as a reminder of what can happen. Very educational and informative. it interested me all the way through and gave me a new understanding of reactor design and methods of operation. Who might you have cast as narrator instead of Tom Weiner? Did Atomic Accidents inspire you to do anything? There is a LOT here, and all very interesting. The author makes a few gaffs, so don't rely on this for a nuclear 'primer'. However, the narrator just makes it not one for my collection. As far as I know Tritium has always and will continue to be pronounced with a hard second 'T', pretty sure in America too (happy to be disavowed of this believe) NOT like 'trishium'. This is very irritating, it obviously appears a lot. The author/narrator does tend to inject a 'superior' tone, which is also very irritating. That all said if you can overlook the above then it is a fine read/listen.